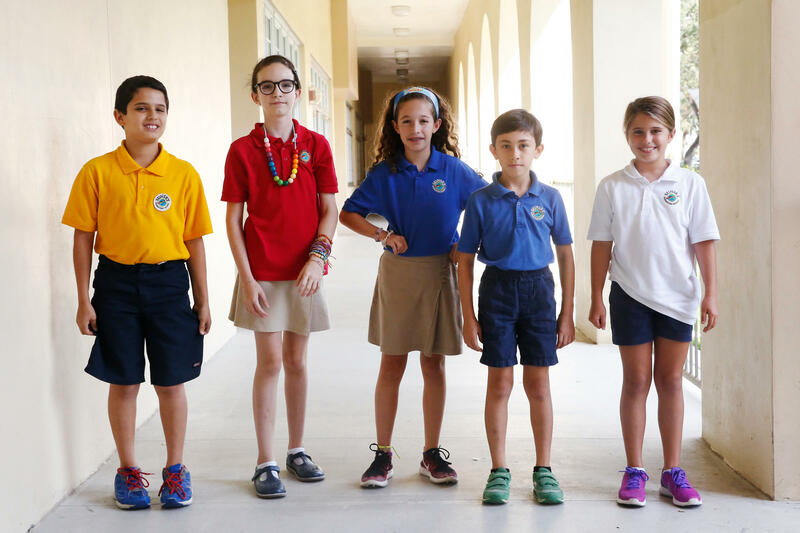 Antonio Santamaria (from left), Emilia Rubalcaba, Veronica Segredo, Louis Perez and Olivia Geller. After drawing their experience during Hurricane Irma, students had an easier time talking about it to the class. "I felt like Dorothy and her dog in the Wizard of Oz, the winds were howling around my house, the rain came on and off, lights flickering on and off in the kitchen. Irma, she devastated the internet and the cable, so we played board games. We had a really good family time experience. Florida and hurricanes ... it's a perfect recipe for disaster. Now we have Maria and Jose and Lee on the loose. For them, I would suggest that you always should stay safe, always try to remember that even if it seems like the world is all darkness, it's always gonna be a way out. Always. You may not see it, but it's there." Emilia: "Everyone was like really excited, because like, hello, like we've never been in a hurricane before, what this is like? And I'm like, 'Just because you've never been in a hurricane before doesn't mean it's good.' My mom and I evacuated to Canada, but first, we had to wait 11 hours to get on the flight." Veronica: "I wasn't like scared or anything, I was fine. But we did lose power. Something I just wanted to say, my grandma's name is called Irma, and now she wants to change her name." "It's a little scary once it starts because most of us hadn't been in a hurricane yet. Most of the hurricane was gloom, but not all of it. The actual day of the hurricane was boring. We played hide and seek and we ate snacks." She offers this advice: "Always stay inside, if you lose power have snacks in case you are really hungry. If something happens and you need to evacuate always put gas in your car." "A bad thing is that I had to go sleep in a closet. It's kind of hard sleeping there like you're always squished. But it was just for a day. It's like a bad dream, happening in a fake world but it's real. It was like swirling winds a lot. You could hear like schwooooo schwooo." 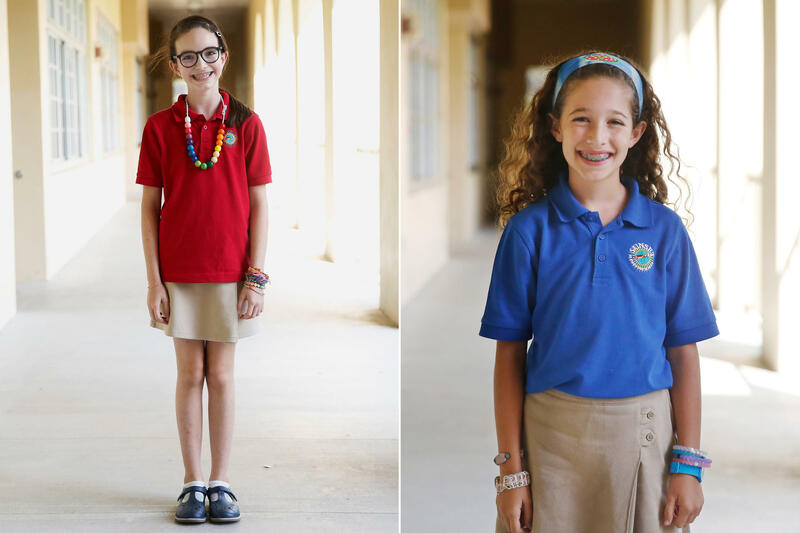 As Puerto Rico battles Maria, kids in South Florida head back to school still processing Hurricane Irma. NPR's Elissa Nadworny talked with fourth-graders at Sunset Elementary in Miami who wrote essays about their experiences. And here's what they shared with her. 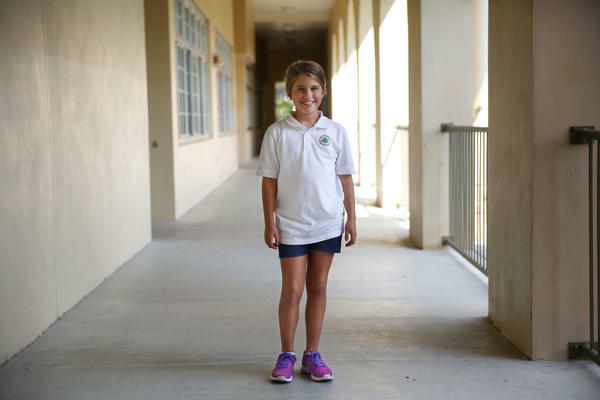 OLIVIA GELLER: My name is Olivia Geller, and I am 9 years old. OLIVIA: The name Irma will always strike fear, disappointment and dismay in our city. It's a little scary once it starts because most of us haven't been in a hurricane yet. 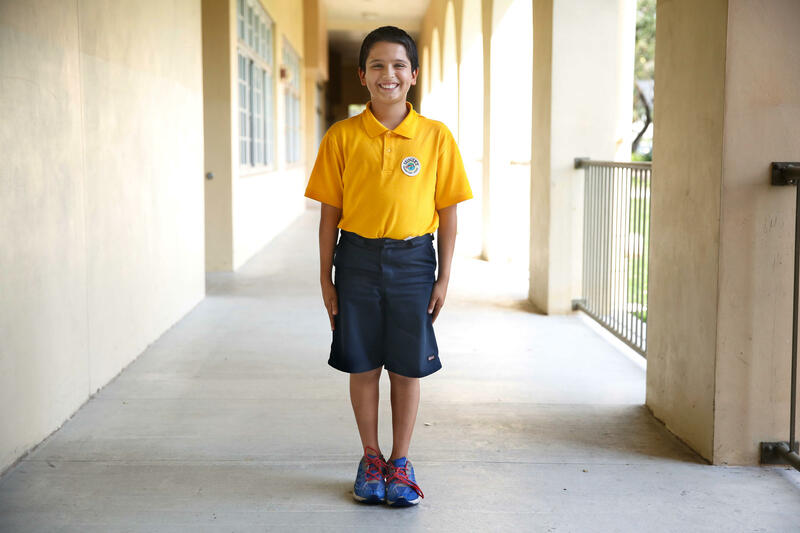 LOUIS PEREZ: I am Louis Perez, and I am 9 years old. It's like a bad dream. It was like swirling wind a lot. You could hear, like (imitating wind whistling). 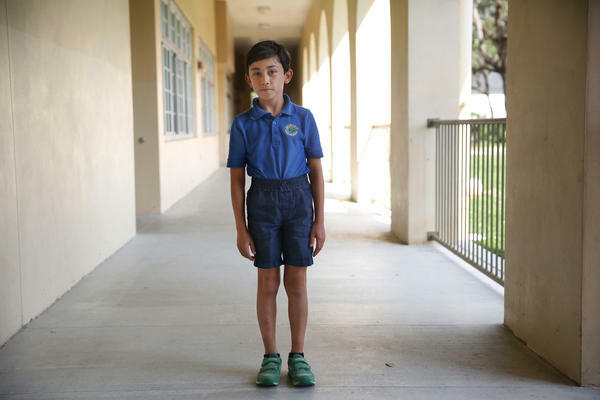 ANTONIO SANTAMARIA: My name is Antonio Santamaria, and I'm 9 years old. I felt like Dorothy and her dog in "The Wizard Of Oz." Like, the winds were howling around my house. The rain came on and off. It was like, the lights flickering on and off in the kitchen. VERONICA SEGREDO: My name is Veronica Segredo, and I'm 9 years old. Something I just wanted to say is that my grandma's name is called Irma, and now she wants to change name (laughter). ANTONIO: I would suggest that you always should stay safe. Try to remember that even if it seems like the world is all darkness, it's always going to be a way out - always. You may not see it, but it's there. CHANG: Those were students in Mrs. Diaz-Brown's fourth-grade class in Miami. (SOUNDBITE OF VETIVER'S "STRANGER STILL (DANIEL T REMIX)") Transcript provided by NPR, Copyright NPR.